I did a lot of research before I decided which swimsuit to buy, and all I can say is I love this swimsuit. I just really love it! It is light in the water, loose so it not showing off any curves. It dries so fast and doesn't whole water. I was worried about the weight in the water but this is not a concern at all. Now I can play in the pool with my children which I miss so much. As a convert to Islam, one of the hardest thing for me to do was to give up swimming, and I know before I was Muslim I would spend over $60 for a designer Bikini swimsuit, so for me this is a great deal for the money, and being able to play in the backyard pool with my kids, priceless. Alhamdulillah. Thanks for the Care Sheet, I love the Customer Service, and quick shipping. Reflections of Iman Brings You the Riviera Islamic Swimsuit by AlSharifa... This 2-piece full coverage modest swimsuit is ideal for swimming at the pool or beach. So, whether you are swimming, or working out, you will feel and look beautiful in this sensational suit. Made from the finest performance fabrics, this high end suit is comfortable, sporty and chic. The tunic style top looks great over the straight cut pants with elastic at the waist, and pulls cords at the ankle to adjust the length. 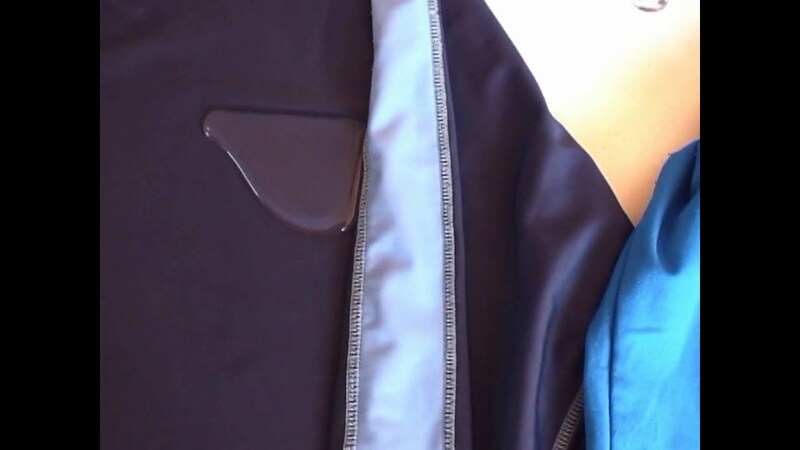 This swimsuit also has inside adjustable clips that secure the swim top to the swim pants, and the pants also have a small right inside pouch pocket, which makes for a great place to put your locker key. The subtle pink contrast stitching adds an air of modern sophisticated style to the suit. The Rivera swimsuit by Alsharifa provides the maximum in modest swim coverage. This swimsuit features a long tunic, loose fit sleeves, and has an attached hijab swim cap. The full cut styling, found in this swimsuit will provide a modest fit for most body types. You’ll find that this special thermodry technology coated blend of 82% Polyester and 18% Spandex fabric provides a 4-way comfortable stretch. This swimsuit will not cling to your skin, even when wet and it also dries very quickly. This water repellent swimsuit provides a 50+ SPF (Ultraviolet sun protection factor), and is Chlorine resistant. This Alsharifa swimsuit is also approved for use at all pools. Alsharifa Islamic Swimsuits;are not only stylish, beautiful, and modest, they also provide one of the best Islamic Swimwear money can buy! Because the fabric doesn't absorb water at all, the swimsuit remains wonderfully lightweight to swim in, and most importantly: the swimsuit doesn't stick to your body!